Barry J. Carmichael is a 1988 graduate of Osgoode Hall Law School in Toronto. Barry worked at a mid-sized law firm in Toronto for several years prior to establishing his own practice in Oshawa. Amongst other things, Barry has taught the law clerk course at Centennial College in Toronto, and he attends ongoing continuing education seminars. 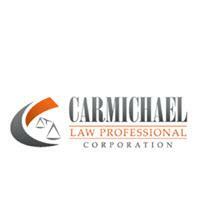 Barry Charmichael has twenty-two years of experience in family law. He is a proud member of the Law Society of Upper Canada and the Durham Law Association. Along with his qualified paralegal Gloria and assistant Gwen, Barry has been servering Durham Region for over twenty-five. The offices of Barry Carmichael are conveniently located in the downtown area, approximately two blocks from the Court House Building.